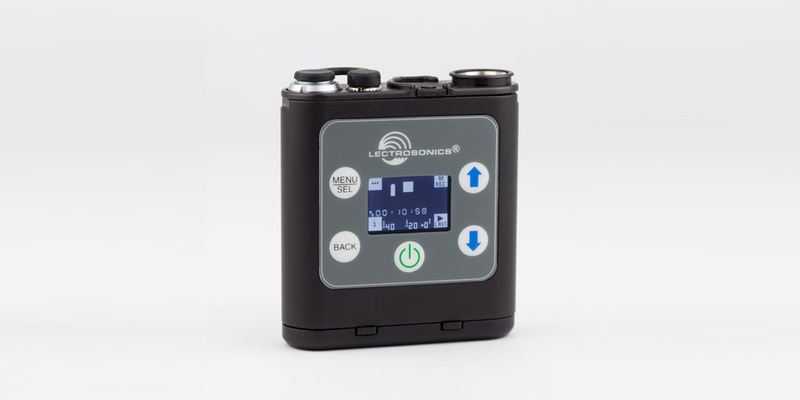 Rio Rancho, NM (April 24, 2018) -- Lectrosonics is pleased to announce a new Firmware update, V2.0, for their acclaimed professional micro digital recorder, the PDR (Portable Digital Recorder). Since its introduction a little over a year ago, the PDR’s highly compact size and professional quality sound has made it an ideal choice for a wide range of productions, from feature films to extreme sports and professional videography. The unit’s tiny size and rounded shape make it unobtrusive and simple to place in garments and costumes, and easy to conceal when used as a “plant” microphone to capture environmental or location sound. The new Version 2.0 Firmware Update incorporates a number of user suggestions, including the addition of iXML file header support, Filesystem protection, and an improved menu structure. The new Update offers iXML Header Support, which allows for recordings to contain industry-standard iXML data in the file headers, enabling easy handling in typical editing software. And Filesystem Protection adds provisions to protect recorded data on the Micro SD card when users mount the card onto a computer. The menu structure has also been updated with some items moved to submenus, including “Timecode…”, “SD Card…” and “Settings…”, which is designed to allow for quicker and easier navigation for users. Timecode can now be copied from the internal real time clock. Scene and take numbers can now be manually entered, and are embedded in the filenames and iXML headers of recordings. Take number automatically increments each time the record button is pressed. File browsing and playback can now be organized by file or by scene and take. And the PDR now understands recordings made in SMWB Series transmitter/recorders and can list their format, length, timestamp information, etc. (Note that the PDR cannot play SMWB recordings because of the sample rate mismatch.) For greater convenience, recording segment size has been increased from approx. 200 MB to 4 GB. On the largest SD card size supported (32 GB), the maximum number of segments a single recording can have is 8. And finally, the two original file naming templates ("Clock Time" and "Sequence") have been enhanced.